When you talk about Australia and metal the first bands that come to mind are Destroyer 666, Disembowelment, Abramelin and the likes, but in actuality the said country has quite a budding doom scene as well and has churned out class acts like Murkrat and Misery’s Omen in the past and unleashed upon up with great force are Raven Black Night as well. 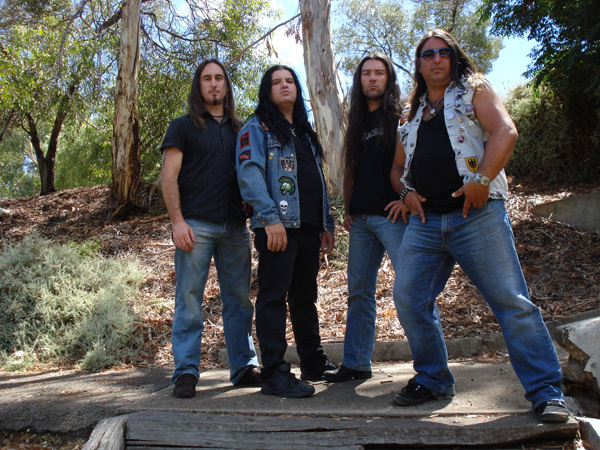 Veterans in the Australian doom scene, Raven Black Night formed back in 1999. In the Australian scene, Raven Black Night has built up quite a cult underground following because of their passionate energy filled live performances and now after a gap of 9 years that have given us their sophomore effort entitled ‘Barbarian Winter’ and has been produced by the might ‘Metal Blade Records’. A look at the cover, a muscled beast of a warrior with spiked shoulder pads dragging his boat to the shore, is a visual showcase of the music contained within. It’s strong, epic, heavy and takes no crap from anyone. Go to the bands Facebook page and you see the words ‘Raven Black Night, true metal warriors of the night, invite you all to the battle of true metal , you can’t hide, Raven Black Night gonna get you.’, and this pretty much describes their music. 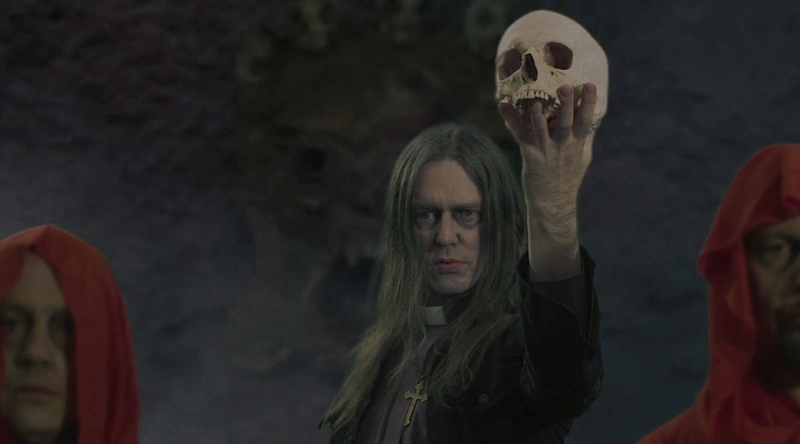 The bands’ music can be described a concoction of the epicness of Solitude Aeturnus, the song writing skills of early Candlemass played with the sensibility of early Manilla Road and touched off with a flair for the hard rock and a perfect heavy metal attitude. 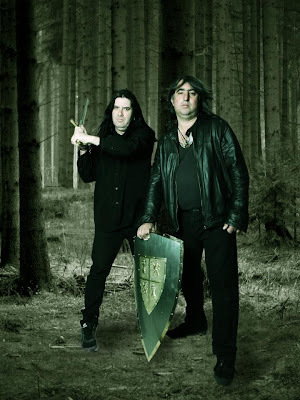 As the first track ‘ Fire In Your Eyes’ starts off with an acoustic intro, Jim the White Knight (the vocalist) screams out rock and roll with such innate authority, you are thrown back to early power metal days, there is no looking back and you feel a musical treat, a journey back in the olden days awaits. As the vocals which are a bit reminiscent of Mark Sheldon’s distinct vibrato and Messiah Marcolin deep operatic enlightenment plough the bands' aural assault of killer grooves and enthusiasm fueled solos forward you notice the female operatic vocals buried deep in the background which add a bit of a dimension to the sound. 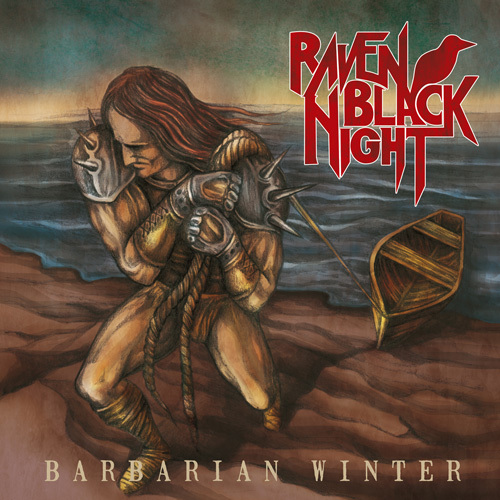 And as the band goes forward with its humongous riffs and extremely well crafted towering solos you feel that the extremely raw production nourishes Raven Black Night, who have been well informed in 80’s metal with a burst of power . Apart from the bands penchant for longer track there are all out rockers like ‘Fallen Angel’ and ‘Morbid Gladiator, which its raw production and heavy dosage of wah wah pedals creates a sort of primitive screeching sound, which I have never really heard before ,embodying the innate sludge of power encapsulated by bands like Brocas Helm. As the band soars forward in all its manly glory with raging guitar solos on tracks like ‘Fallen Angel’ the bands true power is showcased on the brilliant ‘Black Queen’ where the band spreads its gargantuan wings with its absolutely titanic riffs, aberrant number of tempo changes, authoritative vocals lines, an infectious chorus and melodic tinged dragged out solos backed with brilliant pacing and song writing and has produced a doom metal anthem and one of the best doom metal songs ever written. As the band demonstrates textural adventurousness by variations of guitar sound and alternating between different tempos and attitudes, they resist the urge to overload their listener with fake sugar coated keyboards and overtly melodic leads and instead take delight in their own hefty aura. Sadly, midway through the title track the band just seems to lose control over the mighty ship they have been driving and falls in a whirlpool of chaos which completely wrecks the husky skeletal frame they built and in the process losing direction. 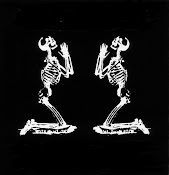 As the title track suddenly descends to shades of their debut where the band used to surprise the listener by breaking into the death metal realm which seemed to completely break the flow and seem out of place, the band further decide to derail themselves by doing a bad cover of a Black Sabbath ballad, and doing the unthinkable and giving us three more back to back ballads where the band decides to shun its heavy metal tendency and instead embraces a more radio friendly approach with hues of early glam. As powerful as the vocals are on the bands up tempo doom laced tracks, on slower track they seem way out of place and a pain to hear. As compared to their debut, this has better song writing, better songs and by almost completely abandoning their random jigs in the death metal realm in between tracks the band has gained fluidity and control. Though the band, throughout the release permeates and reeks a congregation of guys that are highly passionate about what they do and with their band page stating under the interest bar ‘Drinking beer, chasing women and driving people insane with our music’ you know that they are the chosen few that in today’s modern era still proudly fly the ‘Heavy Metal Is The Law’ banner. However, all throughout this album, even on the latter ballads the band has a plethora of masterfully crafted guitar solos and an extremely powerful first half which is well worth repeated listens.